“All kids are geniuses and are capable of extraordinary things”, with Actor Scott Patterson and Dr.
All kids are geniuses and are capable of extraordinary things. Unfortunately, a lot of kids do not have parents that can spend that quality time with their kids on a daily basis due to a myriad of circumstances. There’s been a lot of talk lately about changing our society in radicals ways but the one thing I’d like to see is a social structure that places far more emphasis on the duty parents have to their kids by spending real time with them every day. How we get there is the Rubik’s Cube of life but we need to invest more in our children as a nation. They are magic beings and they are our legacy and future. 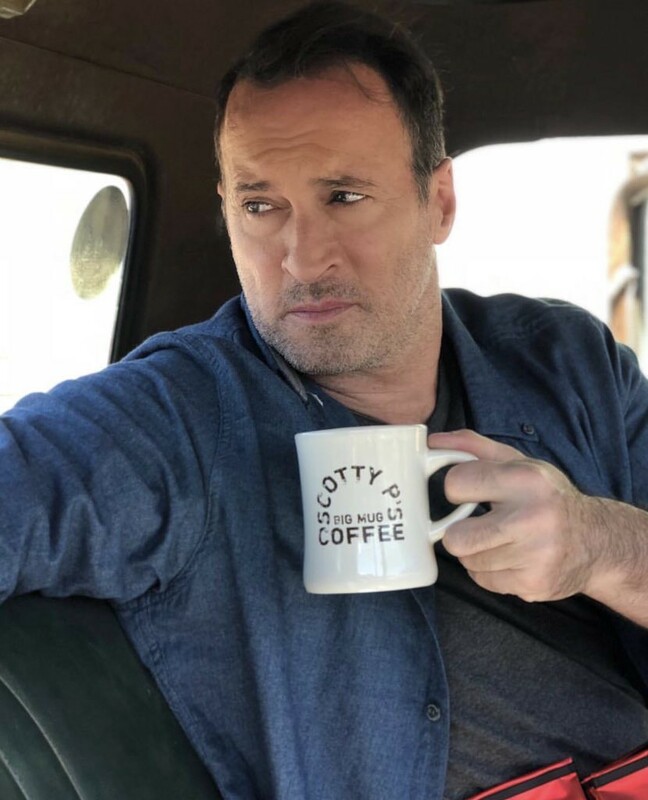 As a part of my series about “How extremely busy executives make time to be great parents” I had the pleasure to interview Actor Scott Patterson. Scott is best known for his 7 years portraying diner owner Luke Danes on the show “Gilmore Girls”. The character of Luke is synonymous with coffee and Scott is now President and CEO of “Scotty P’s Big Mug Coffee”. The company is experiencing exponential growth after launching online in December of 2017. 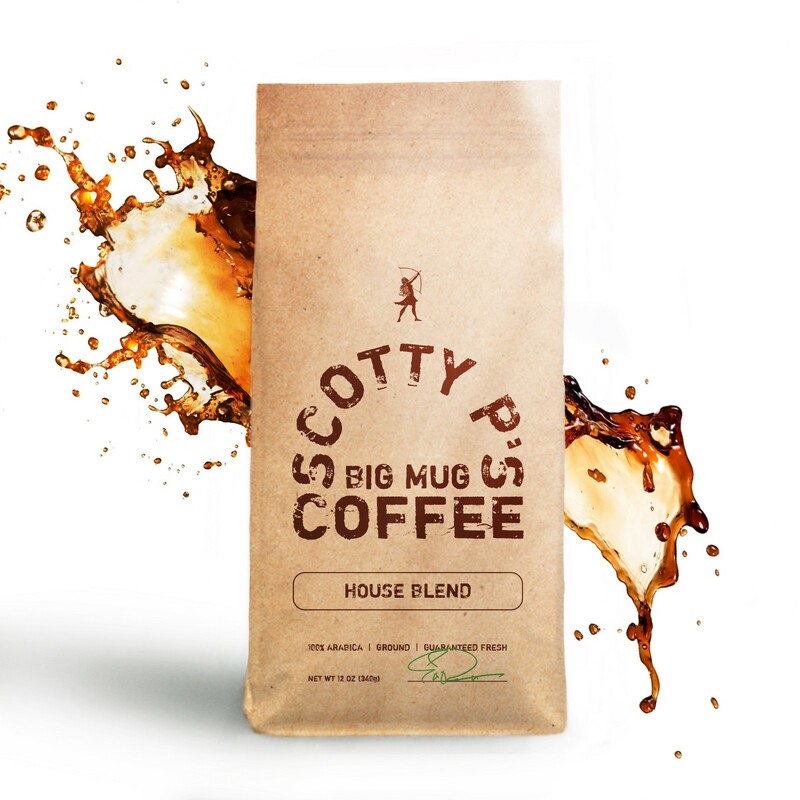 “Scotty P’s Big Mug Coffee” has signed deals with major national coffee distributors and will also be available on Amazon in the coming weeks. More announcements to come as deals currently being negotiated close. Scotty P’s is also available for Office, Wholesale or Retail sales and online at SCOTTYP.COM . I grew up just outside Philadelphia in Haddonfield, NJ. It’s a great place to grow up because the school system K-12 is hyper-competitive whether it was academics or sports. I happen to like being in a competitive environment, so it worked for me. If you didn’t apply yourself and study hard, you’d sink in short order. The high school has tons of AP courses and the pressure to get into an Ivy League school is constant. I was in many clubs throughout my school years and I also participated in competitive sports like swimming, ski racing, wrestling, baseball, football and tennis. My childhood was pretty much sitting in the back seat of the car doing my homework while my mom drove me to a game, match or race. Up until 15 I had an idyllic childhood in a snow globe of a town. Wanting to own my own business and building it over time so that my son could watch me do it, and then eventually take over once he completes his MBA and gets his law degree. I come from a long line of entrepreneurs on both sides of my family so it’s in the DNA. Wake up 6am (I only sleep 4 hours a night, if that) and get to work. I’ve done that my whole life. With my coffee business it’s responding to tons of emails, phone calls and going to meetings. That’s daily. It’s a lot of grinding work (pun intended! ), but I’m use to that. It’s my normal. Marketing and promotion are big parts of it and that takes planning, creativity and execution. I’m a good leader because I listen and don’t think I know everything. I have good people with me on this endeavor and that’s key. After dinner I help my wife out with getting my boy upstairs, bathed and read to. He’s a chip off the old block and never wants to go to sleep. Full of electric energy so it can be challenging but he makes me laugh harder and more often than any being I’ve ever known, so it’s all worth it. He’s magic. Once he’s out I head back to my home office, read all I can about the day’s events in politics and finance because I like to keep up. I’ll crash at 2am. Rinse, repeat. Success isn’t handed to you. You have to take it. I can speak from personal experience on this both as the son of a father who vanished at fifteen, and as a father to my little boy. The time one spends with your children is the most important time you can spend. It’s really quite simple; our job as parents is to teach these little angel/devils the difference between right and wrong in all matters. That’s a huge job and a huge responsibility and shouldn’t be taken lightly. It also goes to their confidence and their ability to problem solve. When he becomes frustrated with a school assignment my wife and I sit down with him and go through it calmly with him and it always leads to him solving the problem. He knows we have his back, that it’s nothing to get upset about and we can address it with love and support. We are giving him an example of how to approach problems — with calm. He looks to us for all cues and behaviors so setting an example is crucial to his development. Another important job I have as a parent is to watch for specific skills or talents that emerge and to encourage those. I pay attention because now some pretty exciting things are happening in terms of how my son is showing an aptitude in certain areas. It’s thrilling to see and it’s thrilling to help along. I don’t want to miss anything should a particular talent emerge, because he’s making his future before our eyes and it’s important to spend the time in order to see it so you can help it along. It’s about being present and aware without smothering. All kids are geniuses and are capable of extraordinary things. Unfortunately, a lot of kids do not have parents that can spend that quality time with their kids on a daily basis due to a myriad of circumstances. There’s been a lot of talk lately about changing our society in radicals ways but the one thing I’d like to see is a social structure that places far more emphasis on the duty parents have to their kids by spending real time with them every day. How we get there is the Rubik’s Cube of life but we need to invest more in our children as a nation. They are magic beings and they are our legacy and future. Your child will be happier, healthier, have better relationships, be less prone to depression, alcohol abuse, suicide, criminal behavior, be more productive, earn more money, be more creative, more generous, trusting, do better in school and in life in general. There really isn’t anything that tops being with your kids. According to this study cited in the Washington Post, the quality of time spent with children is more important than the quantity of time. Can you give a few stories or examples from your own life about what you do to spend quality time with your children? I read to him every night, I play with him every day, I build structures with him every day (he has a building set and we are always building either an airplane, a space ship or a race car. He then gets inside the vehicle, invites me in and off we go.). I also rough house with him daily. That’s important. We wrestle and play-fight a lot. It’s a ton of fun and it’s an important bonding experience for us both. I don’t always let him win so that he has to struggle a bit to get free. It’s his favorite thing. I also have him on skis now and he’s loving it. I can’t wait to rip the powder with my little guy in the not too distant future! We all live in a world with many deadlines and incessant demands for our time and attention. That inevitably makes us feel rushed and we may feel that we can’t spare the time to be “fully present” with our children. Can you share with our readers some strategies about how we can create more space in our lives in order to give our children more quality attention? The best skill you can have is time management of your entire day, every day. That takes planning and a little work but it really does free you up. Stay on a schedule and have a purpose each day. Have activities planned out at specific times. We are always on the go and that’s how I was raised, too. Go, go, go. My son is a very busy kid but his days are mapped out and structured to the minute. By praising his efforts whatever they are. When he builds a magnificent rocket I marvel at it and talk about what a real rocket can do so that he thinks about that. Same with everything he creates — I marvel because I am genuinely moved, and then I tell him about what that car or boat or train is capable of. He always says “Really? Wow.” When I get the wow, then I know I’ve done my job. Success is very simple for me; if my family is happy then I am happy…and I am always happy. It’s a positive feedback loop. Oh, I’m always reading internet articles when particular issues come up. My wife does the same and then we discuss. That’s the best resource there is because within a second you have thousands of articles to read on any given subject regarding your child. That’s my go-to. We also confer with our pediatrician and that’s a huge help. “It’s unrealistic to expect life to be fair.” This quote defines my childhood and left a big impression on me. Life is not fair and the faster one realizes this the better off you will be. Obstacle aren’t obstacles. They are opportunities to learn, take stock and then move forward better prepared. Another quote I love is “You win the fight BEFORE you step in the ring because of preparation.” This is true in anything you do because I am assuming that you are not all boxers. Preparation is the key to any form of success. Another quote I love is “Amateurs do it until they get it right and pros do it until they can’t possibly get it wrong.” Being bullet proof in you work ethic is crucial. I think young students even at the kindergarten level would benefit from an introduction to the wonders of compounded interest as little investors. Learning about the stock market and basic investing, how to grow wealth responsibly is lost on most people. I’d like to change that. Ask yourself why kids are graduating high school with little or no knowledge of how to grow wealth. Simple investment principles are not difficult to understand and they should be mandatory in schools. Kids should enter college knowing how to grow their portfolio. Financial freedom for the many instead of the few would impact this country greatly and I think worth exploring. I may write a book on it. To my mind it’s incredibly important because we live in a country that offers the path to wealth for the masses and very few are taking advantage of it. It boggles the mind. All that unnecessary financial stress could go away with a few simple lessons. Capitalism is the most powerful force there is because it’s an intelligence that is utterly perfect and so many people have no idea the power available to them. Also, teaching finance to kids will inspire them to learn math because they can attach the mathematics to something in the real world that can benefit them directly as opposed to all those abstract ideas — however brilliant they are. I want to see 12 year old millionaires buying and selling their own stocks, running their own portfolios. Young people today have so many great ideas and they are so socially and environmentally conscious but imagine if they understood how to grow wealth by the time they were ten. They could make all their dreams come true and it would dampen the ridiculous tone going on now in our public discourse.